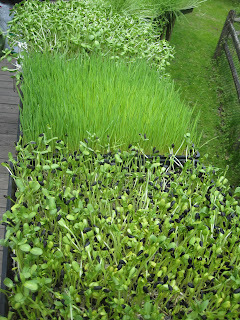 Sunflower shoots, wheat grass and are those sunflowers or pea shoots next? 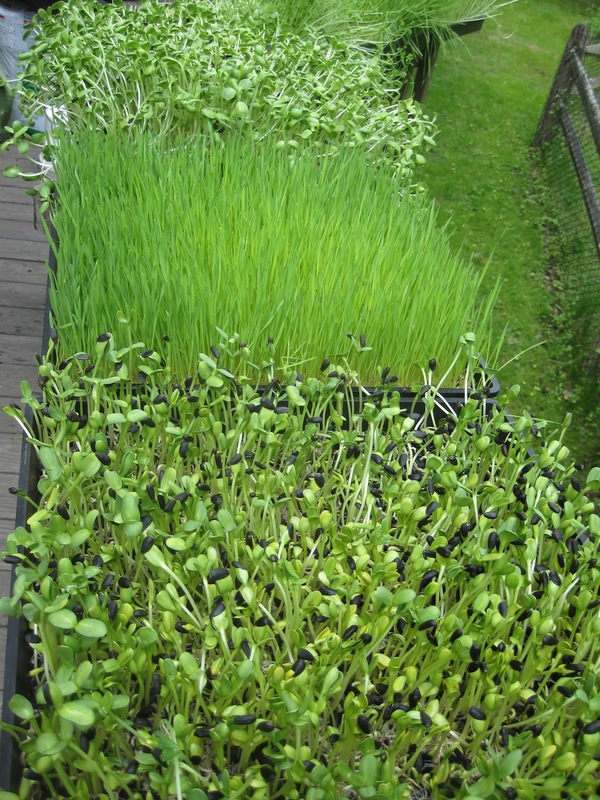 Spring at The Becks Sprout Farm. What is behind this Living Market that will be opening this summer at 1317 East Carson Street this summer? Now is your chance to find out! You are invited and Save the Date! Come one, Come all! If you are reading this blog, you are invited to our fun(d) raising party on Thursday evening, July 5, 2012, at 1317 East Carson Street from 6:00 to 8:30 PM at the site of the new Schwartz Living Market. The suggested cost for you to grace us with your presence/presents will be between $15 and $100, or more, as we all want to see this project bloom beyond even your wildest expectations! The joy and deep insights that have come our way thus far over the past three years have already exceeded our expectations. What more can we ask for in life? What will be going on at this fun raiser? You'll meet the zerofossil guy who is using some solar powered batteries to light up a dark corner and power our juicer. You'll see our newly exposed and restored tin ceiling and original wood floors. You'll learn about Permaculture from one of the originals, Darrell Frey, author of Bioshelter Market Garden: A Permaculture Farm, c 2011. You'll have the opposrtunity to purchase a signed copy of his book! You'll meet lots of local folks running fantastic non-profit organizations in this western Pennsylvania region. You'll be able to buy delicious raw vegan food, drink a few ounces of wheat grass juice, sample and buy Moteasa's hand blended teas, and get up on the soap box to speak, dance or sing your truth, if you'd like to. You'll meet local business owners and be able to buy their wares including the Enchanted Gardeners just a half a block away and Artemis Environmental! Building New Hope will be there with their wonderful fairly trade, organic, shade grown coffee, Cecily of Juice Heaven will be selling her delicious juices, and there will be many vendors including Jenn's Jems, Globallovin with their clothing and accessories, and Miguel Sague with Native American arts and crafts and health and beauty items, and other surprises! We look forward to seeing you on July 5! Join us at 5:00 PM to see the South Side screening of Transition 2.0, the international documentary with local stars from The Whitney Avenue Farm LIVE! Elisa Beck~~ Schwartz Living Market ~~~ Join Schwartz Market on Facebook!